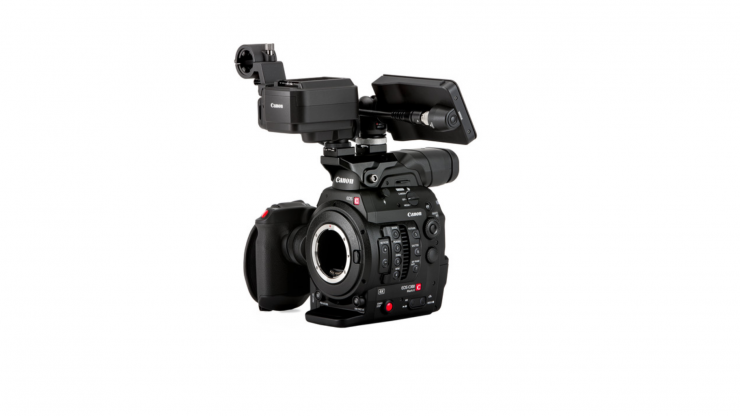 The Canon C300 Mark II is now available with the C200 touch screen. Officially called the Canon Cinema EOS C300 Mark II Touch Focus Kit, this latest addition to Canon’s line-up consists of the Canon C300 Mark II body (EF mount), the same touchscreen that comes with the C200, an XLR audio module, and a 492LCD Micro Ball Head. 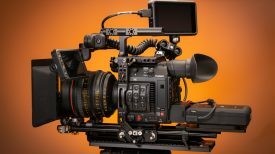 The C300 Mark II has been out for almost 4 years and despite numerous price drops it never managed to gain as much traction in the market as Canon’s original C300. 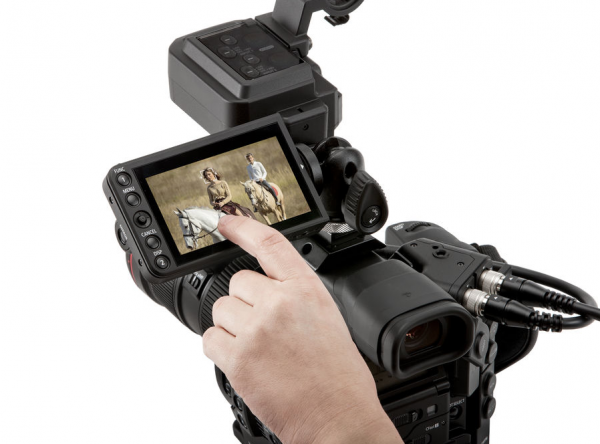 None the less, adding the same C200 Touch Screen to the C300 Mark II is welcome news. Now, you don’t have to buy a whole new camera if you happen to own a C300 Mark II and want to upgrade to a C200 Touch Screen. Canon is making the Touch Screen and a shoe mountable microphone adapter available to purchase separately. 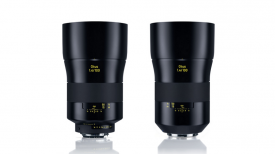 The Touch Focus Kit does change the cameras physical appearance, but in my opinion, that is a good thing. I never quite liked the high tower that was created by attaching the top handle and combined screen/audio inputs and controls. The nice thing about the Touch Focus Kit is you can just use the screen without the audio module if need be. The only thing that I can see C300 Mark II owners complaining about is that the Touch Screen is connected via a ball head, which you will have to undo to adjust the screen everytime you want to move it. This also means that it’s very hard to get the horizon nice and level which could lead to shooters getting shots where the horizon is off. 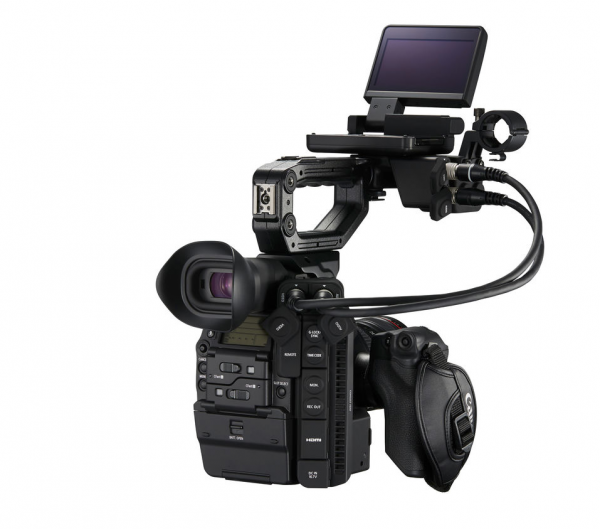 The Canon EOS C300 Mk II Touch Focus Kit consists of a C300 Mk II digital cinema camera, LM-V1 4″ Touchscreen LCD Monitor (identical to that shipping with the C200), and MA400 XLR Accessory, which is a separate XLR unit. Using these two accessories instead of the traditional “clamshell” Monitor/XLR unit (not included) enables a more flexible, streamlined configuration. If the user does not require XLR functionality, the C300 Mark II can be used with the LCD only for an incredibly compact camera build (ideal for use with Gimbal Stabilizers). The original top handle is still included and compatible with the new configuration options. AbelCine is currently selling this kit for $9,723.03 USD. 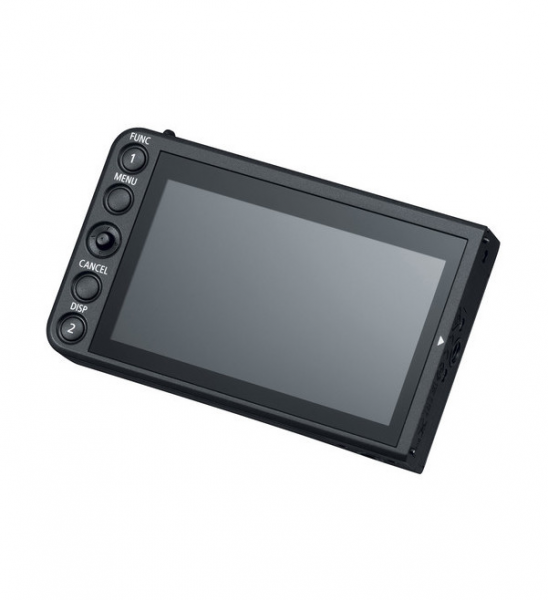 The Canon LM-V1 LCD Monitor is a fully adjustable and detachable 4″ display for the Canon C200 & C300 Mk II digital cinema cameras. This 1.23 million dot, touch capacitive monitor features Canon’s exclusive AF technologies for easy monitoring and one-finger “tap-focusing” during shooting. The Canon LM-V1 LCD Monitor retails for $699 USD. IMPORTANT NOTE: Requires Canon UN-5 or UN-10 Unit Cable (sold separately) to connect the monitor to the camera. This MA-400 Microphone Adapter from Canon that is compatible with the Cinema EOS C300 Mark II is the exact same audio module that works with the XC15 4K camcorders. By attaching the microphone adapter to your camcorder, you are able to use the adapter’s input terminals to record audio independently to two audio channels from an external microphone or analog audio input source with an XLR connector. The microphone adapter supports 48V phantom power, which is powered by the camcorder’s power supply. Additionally, the adapter offers a mic terminal for attaching condenser microphones with a 3.5mm stereo mini plug and their own power supply. 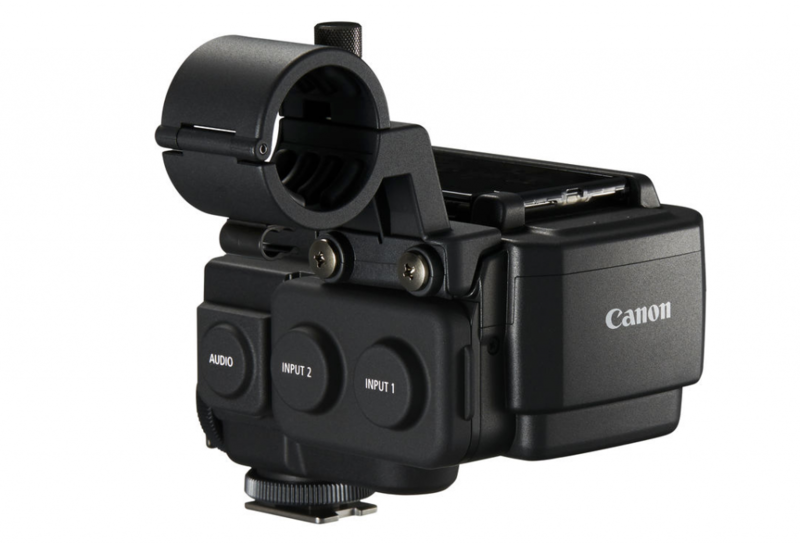 The MA-400 is geared toward single-user applications such as run-and-gun news gathering. It mounts to your camcorder’s accessory shoe and offers an external mic holder to which you can mount external microphones with a diameter of 0.75 to 0.79″. Included is a microphone cable clamp. 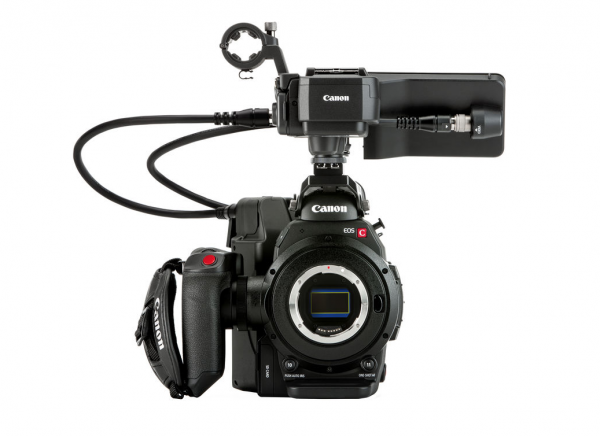 The Canon MA-400 Microphone Adapter for EOS C300 MK II is $425 USD. 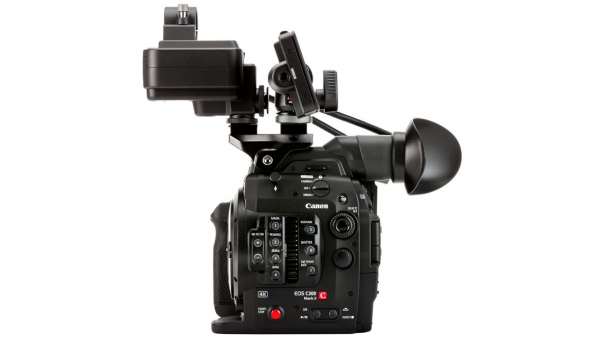 Is a new Canon C300 Mark III on the horizon? Quite possibly. The C300 Mark II is starting to get a little long in the tooth, and Canon does have a habit of updating their EOS Cinema models every four years. 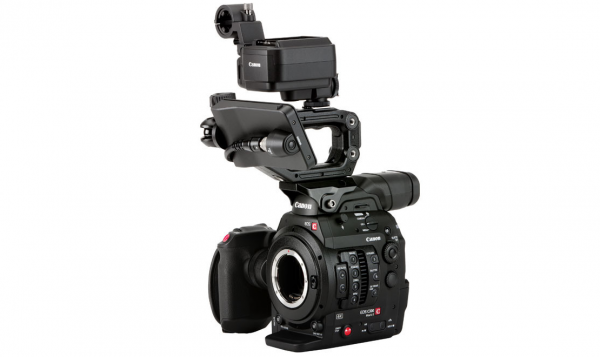 The original C300 was announced in late 2011, the C300 Mark II in 2015. 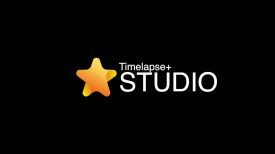 What Canon might have to release to win back users is anyone’s guess. Perhaps they will make the sensor upgradable as they did with the C700.